Recorded April 2015 & October 2015 at Chris Donaldson’s (Cryptopsy) “The Grid”. Formed in 2010, Éohum (pronounced ee-o-um) is a traditionalist and cultural identitarian band produced from the mind of guitarist Jeremy Perkins to create a relentless, anthemic groove -doom- tinged black metal to emphasize a message clearly depicting people’s lack of interest in the past relationship we held with nature and our ancestral ways. Originally written as a literal, poetic project by Perkins, his surrounding friends at the time having musical roots and a background in metal, then sprouted the idea for him to create Éohum. 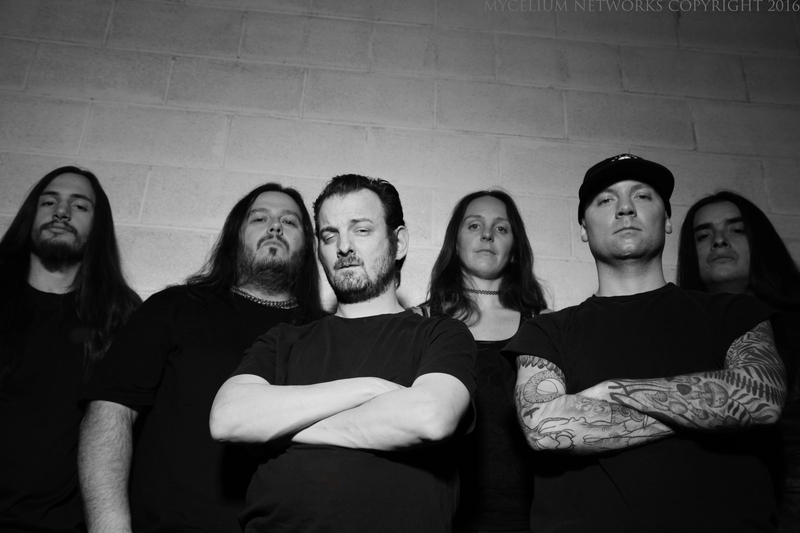 All written and arranged by Perkins, Éohum debut their release “Revelations, Aurora Of An Epoch” in April 2015 that featured a collective of musicians that included guest vocals from Matt McGachy (Cryptopsy) (Tracks 3-4-5-7), Lana Edwards (Intro & Outro), Phillippe Rieder (Track 6), Nick Wybo (ex-Vinyl Hero) on drums, Annie Perreault on French Horn/Trumpet, Sylvain Dumont on guitar, James Heymans on bass and Perkins himself on guitar plus a live line up that featured drummer Simon Mackay (The Agonist) and vocalist Barrie Butler (ex : Tard). With so much talent from various backgrounds, Éohum blended the most gruesome with the cleanest of black and doom metal to create hypnotic riffs with seducing horns that was injected into the veins of metal fans. 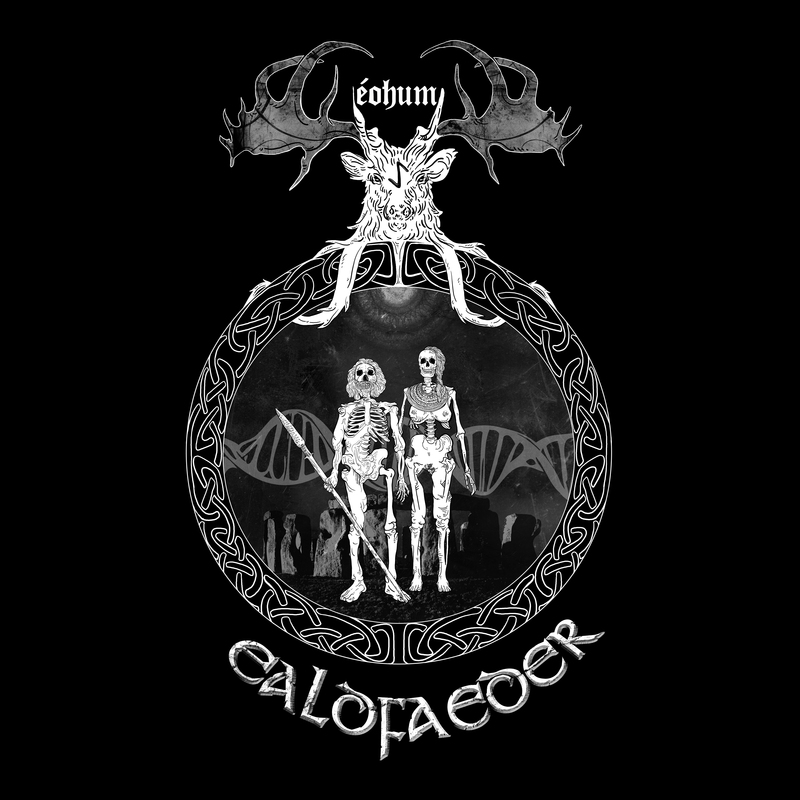 Now in 2016 with their new EP ‘Ealdfaeder’ set for release on March 18th, Éohum features a line up with Perkins (guitar) and the return of Perreault (French Horn/Flute), Dumont (Guitar), Butler (Vocals) plus new comers Cesar Franco (bass) and Luca Belviso (drums) whom have made up the band up for a year now plus a special guest recording from drummer Simon Mackay (The Agonist) on tracks 2-4-5 for the release. All are focused on the distinct grassroots of old school, very heavy progression that has flourished since last year to give way to a distinct path, sound and image with each member sharing common ground on the message, beliefs and ideas behind Éohum. “The EP speaks generally about the lost voice of past cultures who were colonized and the decaying relationship humanity has with nature due to the societies we live in. The loss of traditions we held and relationships we had with nature.” comments Perkins. Lyrically the EP is inspired by poems written by Perkins on the loss of culture and tradition due to greed and colonization across the globe. 1- Eurocide :This song speaks of the lost traditions within the distinct smaller cultures of Europe’s in the past colonization periods thousands of years ago, where they lost their relation to nature, faiths and ways of life. 2- Unmasking a world of deceit : Reveals the trading in of our beliefs; ways, quality of food and lifestyles for a fist of coins, routine and fear filled faiths of today’s world. 3- The Apathetic Plague : A song descrying the effects of colonization and capitalism on countries across the globe and the loss of land and ancient people’s perspectives, like for example the Amazon. 4- Ode To A Martyr: A look at today’s deprived, pill driven, technological populace.Humanity leaving behind its core and self-preservation for these delusional lifestyles. 5-Curative Undulations: Speaks of humanities relation to nature and musical traditions and the primordial ways we used healing with music. Curative undulations which means, healing, music/sound waves. Éohum is recommended for fans of black, doom and death metal in the vein of bands such as God Seed, Death, Hate Forest, Immortal, Neurosis. Fun Fact About Band Name: Éohum means many Yew trees in old English, Yew tree is the Tree of Life for the English tribes of our past predating most of the Celt languages which blended Latin to their own afterward.